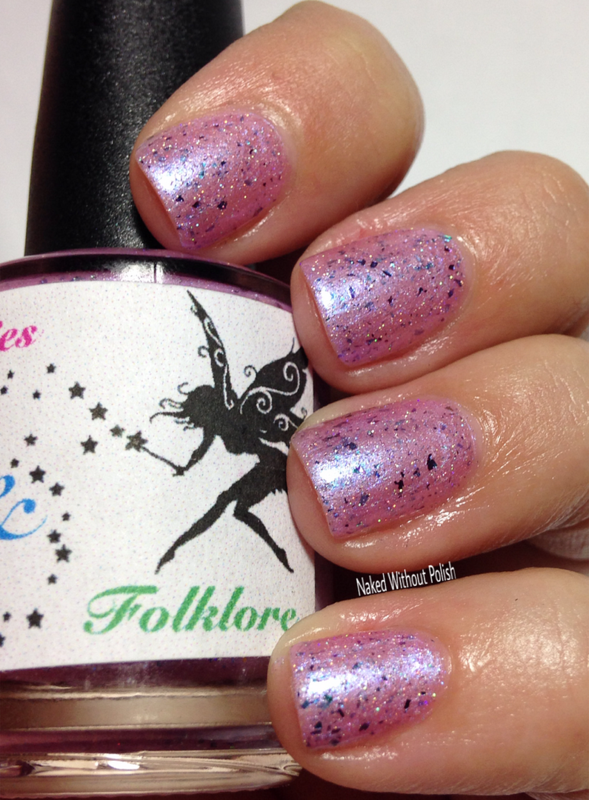 I've got the next beautiful collection from Faeries & Folklore to show you all today. 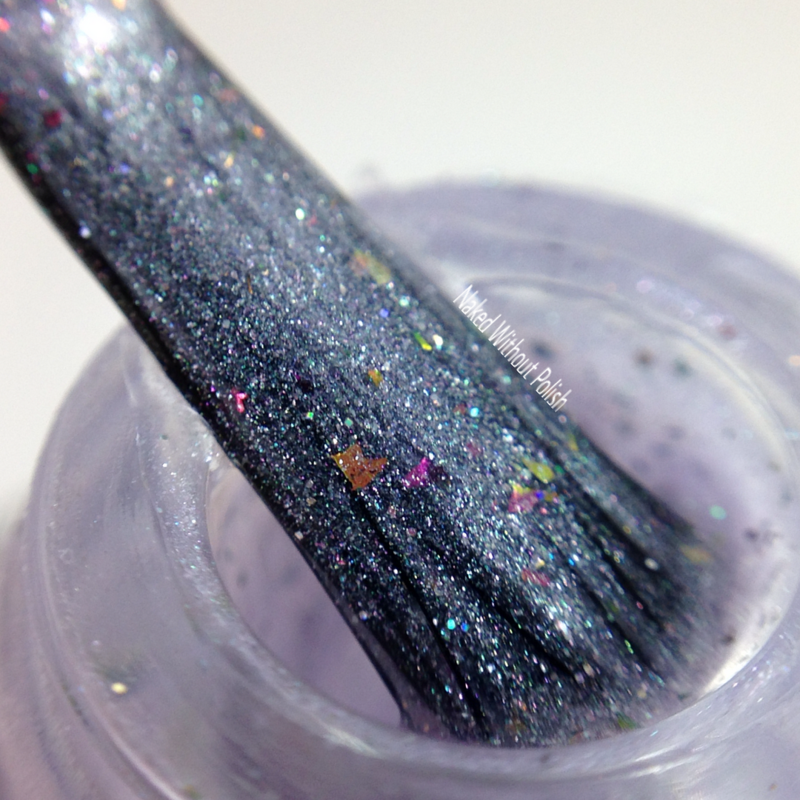 The For Your Wooing Pleasure Collection is a set of 4 beauties filled with flakies, shimmer, and holo. I mean...what more could you want?! 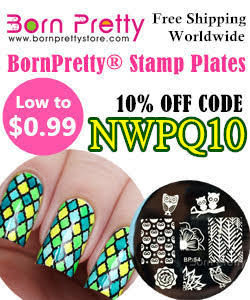 You'll be sure to swoon over these as your nails will be all decked out and ready for Spring! 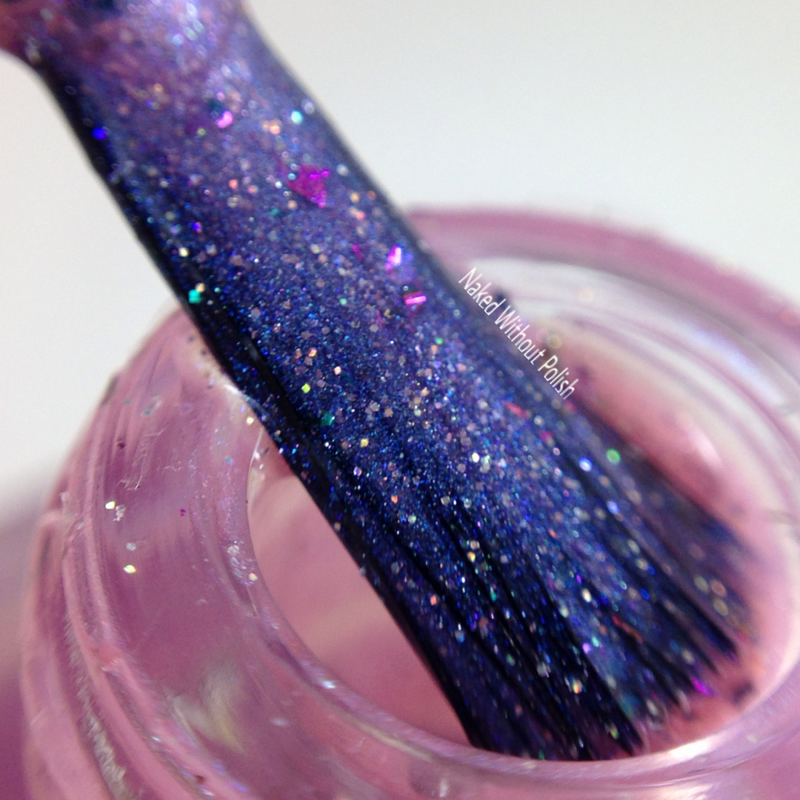 Valiantly Visionary is described as "a pink polish with blue shimmer, fuchsia glitter, blue, glitter, duochrome flakies, and silver holographic glitter". Shown is three coats of Valiantly Visionary with top coat. Valiantly Visionary has a smooth formula. A little goes a long way. It is sheer, but easily buildable. 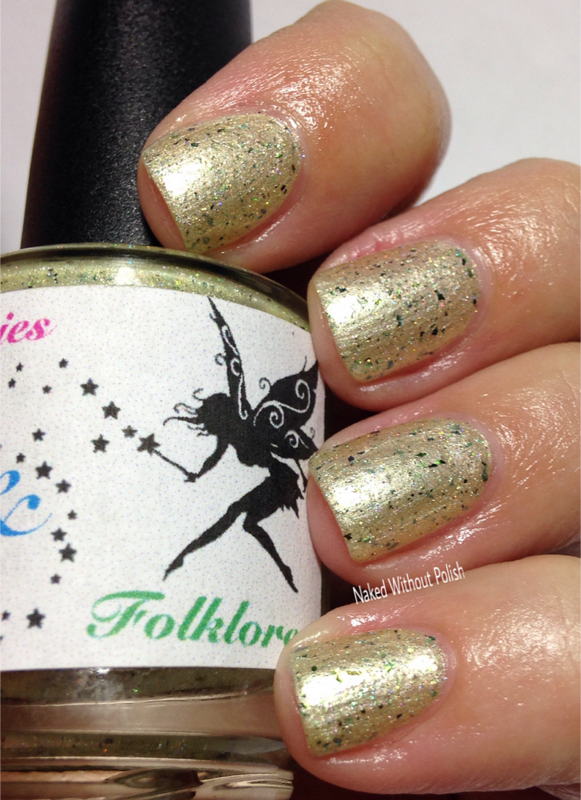 Three coats gets you to full opacity, but would be stunning as a topper as well. 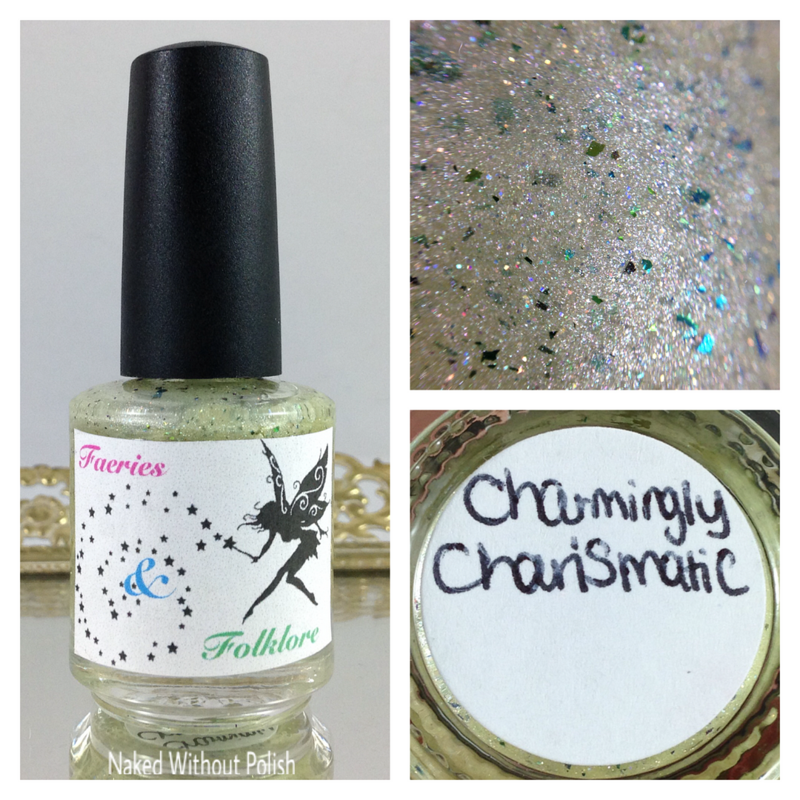 Charmingly Charismatic is described as "a pale yellow shimmer with green shifting duochrome flakies, and silver holographic glitters". Shown is three coats of Charmingly Charismatic with top coat. Charmingly Charismatic is a yellow that completely took me by surprise. We all know that yellows are hit or miss with our skin tones. I think everyone gets excited when they find shades of our "off" colors that we really like. I was nervous about this one, but then I got it on my nails and I was sold. Same fantastic formula. Still sheer so do three coats. Would be great as a topper too. 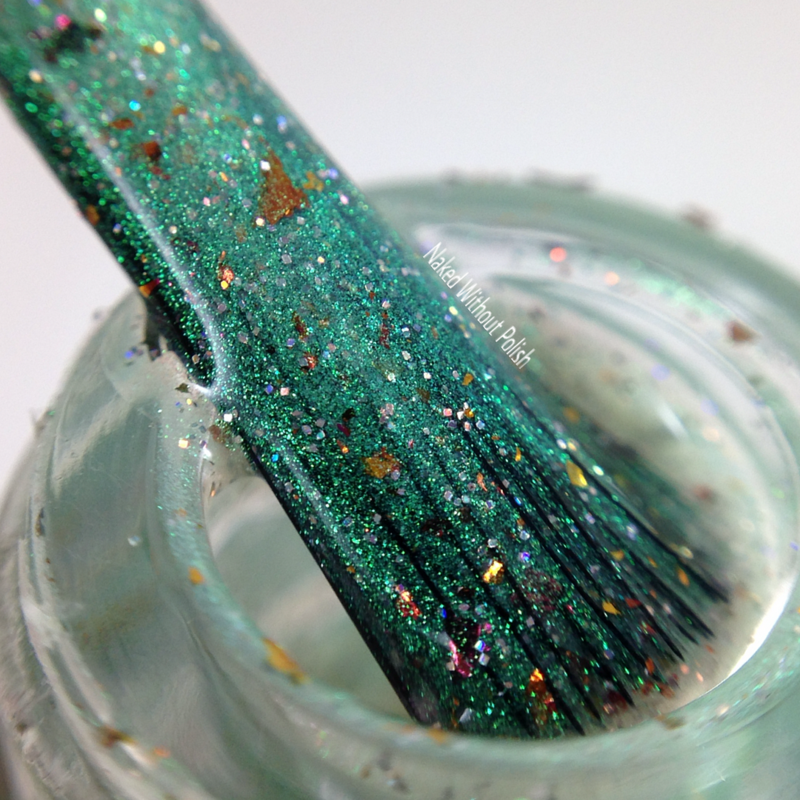 Selectively Seductive is described as "a green shimmer with a slight shift to a shimmer in another shade of green, copper duochrome flakies, and silver holographic glitter". Shown is three coats of Selectively Seductive with top coat. Selectively Seductive is freaking gorgeous! I mean, it's green, it had me at green, but just look at the incredible colors! It would also be even more intense as a topper. Over a black you'd probably see the shifts even more. I'm kicking myself for not matteing this beauty. 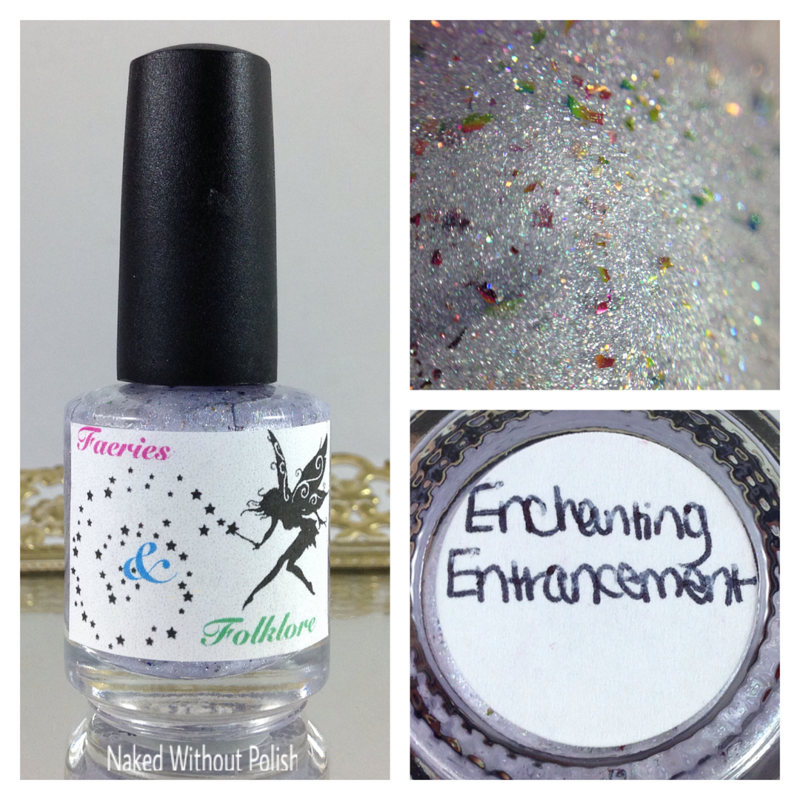 Enchanting Entrancement is described as "a lavender leaning silver polish with fuchsia and copper duochrome flakies, and silver holographic glitter.". Shown is three coats of Enchanting Entrancement with top coat. Enchanting Entrancement is the most delicate one of the collection. 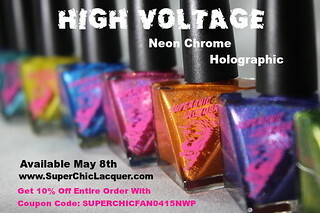 Same amazing formula as the others, and it's sheer so definitely do three coats. It's the perfect soft purple for Spring. Have some fun with it and try to soften up those Fall shades of purple. The For Your Wooing Pleasure Collection will be available tonight at 6 pm CST. The full collection will be $45, or they will be available individually for $12. Set your alarms cause you won't want to miss out on this set! In addition to the For Your Wooing Pleasure Collection, April's Myth of the Month will be released. 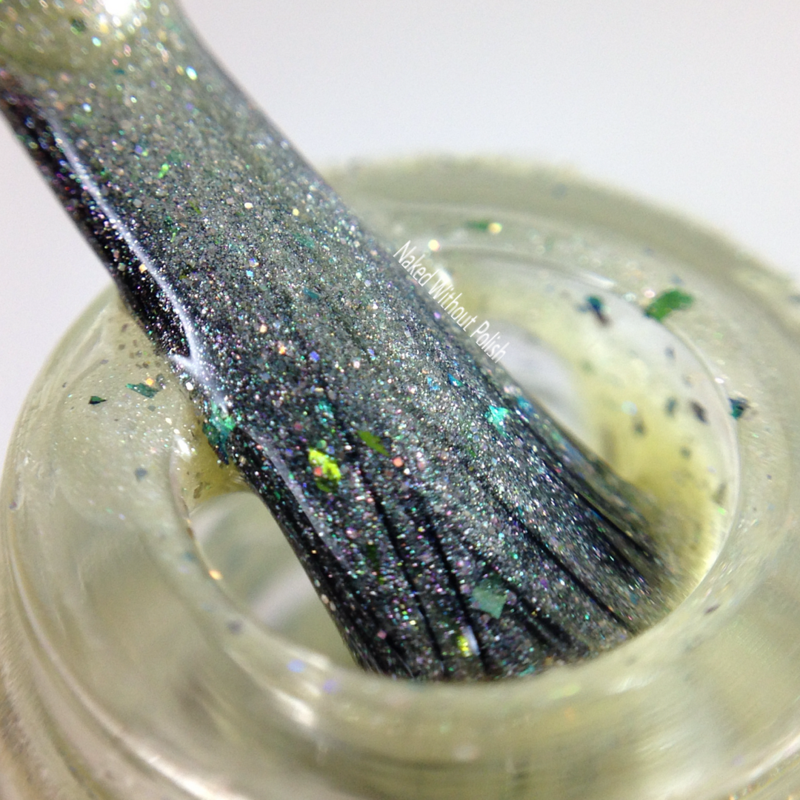 Dragon Scales is described as "a forest green shimmer with iridescent green glitter, and silver holographic glitter". Shown is three coats of Dragon Scales with top coat. 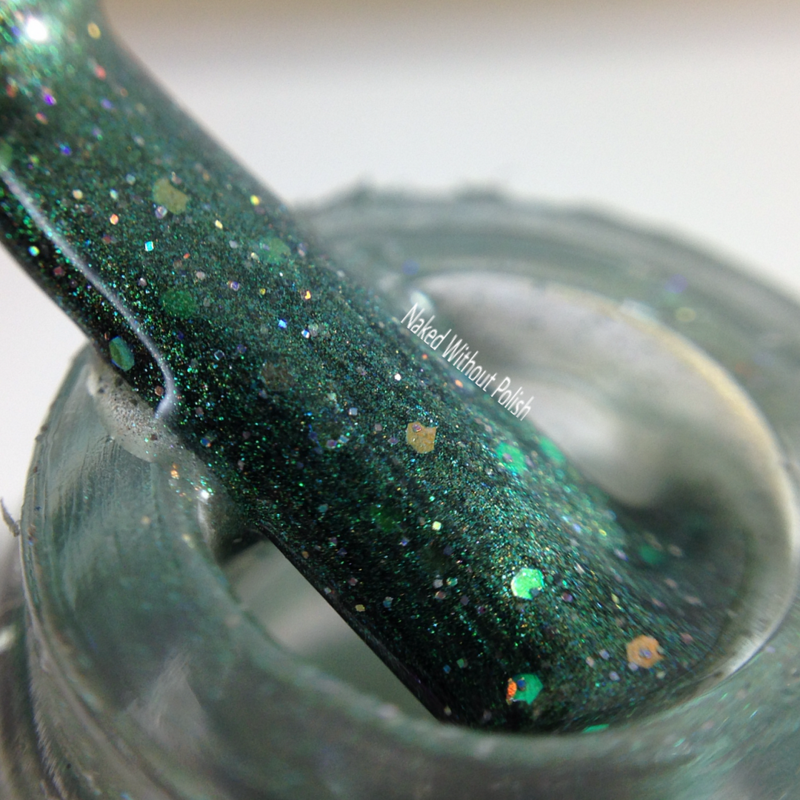 Dragon Scales is such an incredible polish with a lot of depth. Smooth and easy application. All green lovers need this beauty. I haven't seen anything like it. Would probably be gorgeous over a black as well! 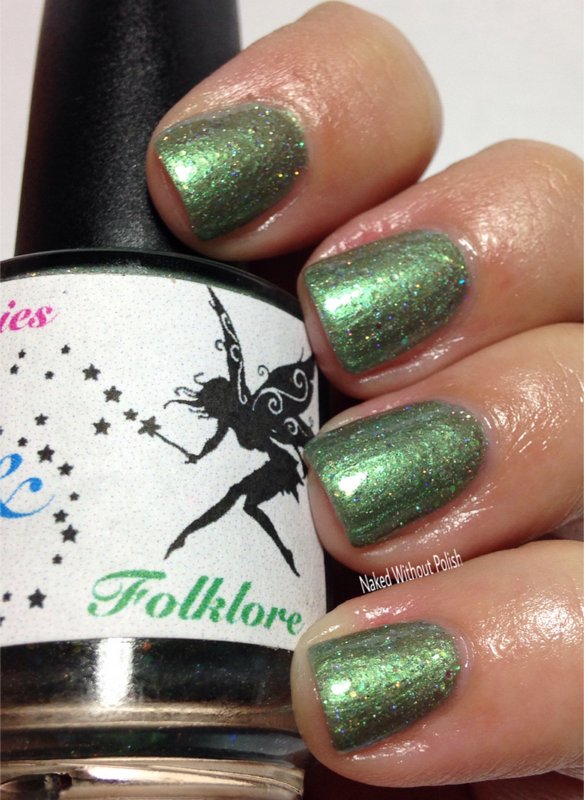 Faeries & Folklore did such a beautiful job with each one of these. 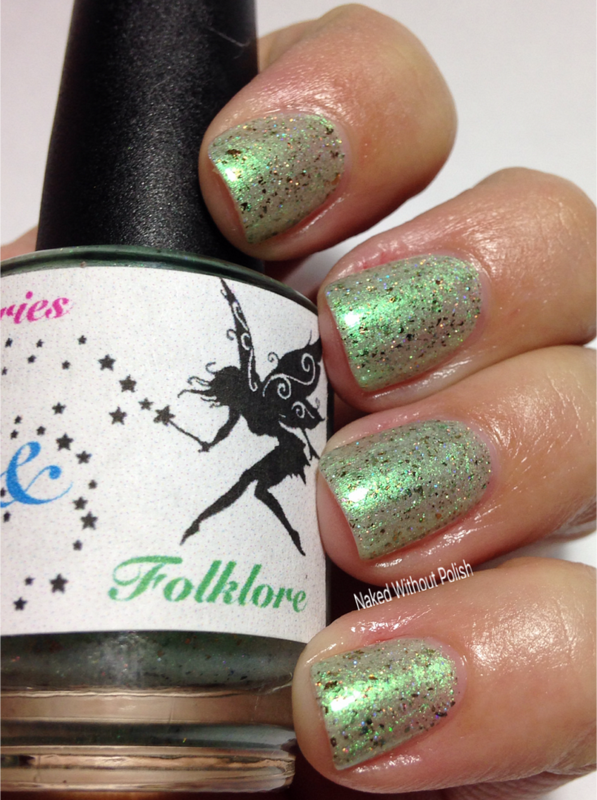 I love how the Myth of the Month polish works will with the For Your Wooing Pleasure Collection. It is its own thing, but they are all very cohesive. 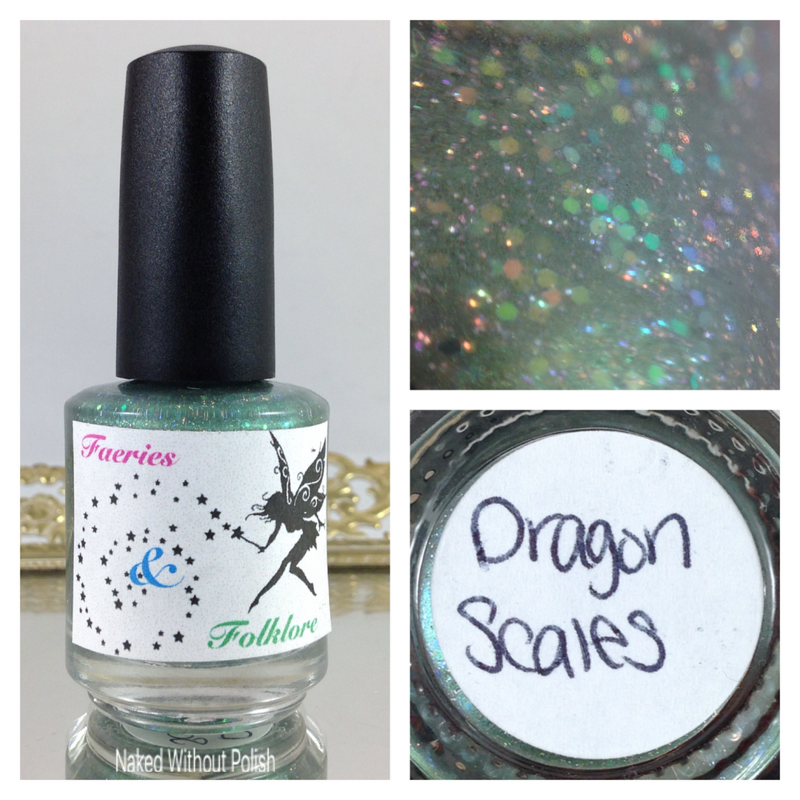 The Dragon Scales Myth of the Month polish will be available to purchase tonight at 6 pm CST for $10. Don't forget that the For Your Wooing Pleasure Collection will also be available to purchase at 6 pm CST. It will be $45 for the whole collection or $12 individually. 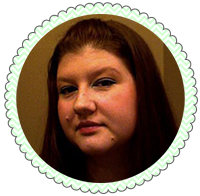 Check out her shop to see what other goodies she has, and don't forget to grab March's Myth of the Month before it's gone! Also follow Faeries & Folklore on all of her social media platforms (links below) to stay updated on news and sales. Which are the stand outs to you?